Home » Latest News » Posts » November 2017 Shows! I will be in two shows this November. 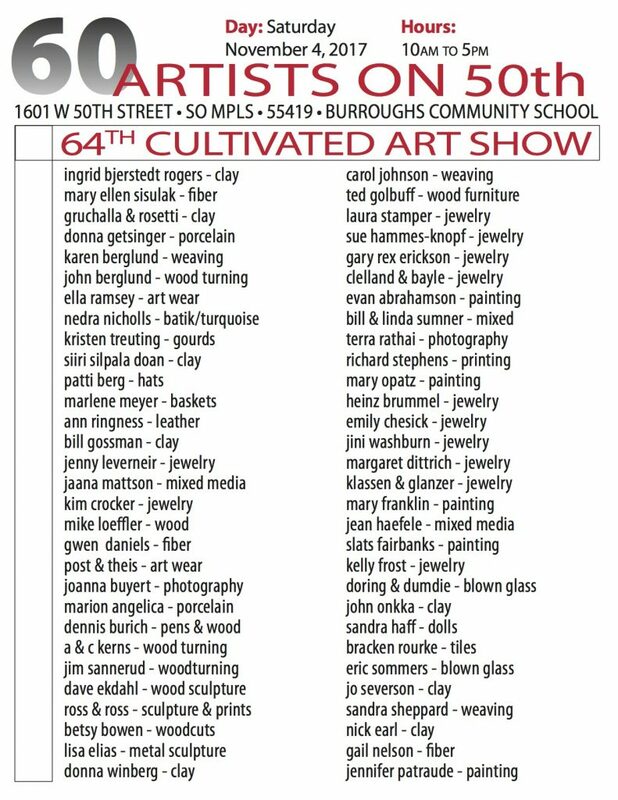 My 1st is on November 4th – 60 Artists on 50th at the Burroughs Community School. This is my 1st time in this show, and I’m excited because it is such a quality show with amazing artists! 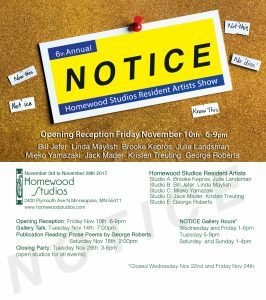 The next show is the 6th Annual Homewood Studios Resident Artists Show – “Notice”! The opening is November 10th! Always a great show! Sneak peeks of my new work to follow soon!